The WKU swimming pool designed by Brinton B. Davis opened on May 24, 1932. The pool was heated and had underwater lighting. It was 60' x 120' in size and could hold 330,000 gallons. The depth ranged from 3 to 7 feet. 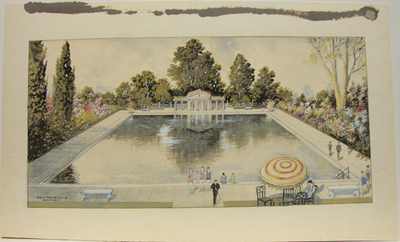 The pool was removed in preparation for the construction of Cravens Graduate Center & Library in 1970.